That's 55,500,000+ people who know little or nothing about the peaceful, glad tidings of this Book! and helping build a tolerant and cohesive society. Please answer the call and support our efforts. In order to fulfil our duty of Dawah and positive engagement, IDCI has been actively pursuing a nationwide Dawah campaign since 2000, funded solely by kind donations from British Muslims. During this time, IDCI has become the leading Dawah organisation in the U.K, Alhamdulillah. 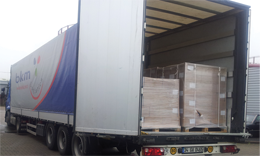 IDCI has so far printed & distributed 400,000+ copies of Qur'an translations and 7.9 million+ Dawah publications. The free distribution is done through, hundreds of nationwide Dawah stalls, Islamic exhibitions, university and college Islamic societies, Masajid, Islamic organisations and individual requests. IDCI also supplies to the civil services, police forces, prisons, hospitals, fire services and educational institutions. These various channels help thousands of people attain a true appreciation of the beauty of Islam and hundreds choose to accept it as a result. Just some of the hundreds of independent Dawah stalls distributing IDCI Dawah material, free of charge, nationwide. many misconceptions and learn about the true message of Islam. For the beginning of the coming academic year (Sep 2013) IDCI wants to send a free copy of the Qur�an translation to primary and secondary schools in the U.K (over 24,000 schools). We will also offer schools the opportunity to receive further free copies of the Qur�an translation as well as an information pack about Islam. Insha Allah. To make the Qur�an translation more readily available to the masses, this Ramadhan, we will begin to place at least 500 Qur�an stands in various retails outlets and locations across the country. Insha Allah. We are also planning to have them placed in high street bookstores and supermarkets. 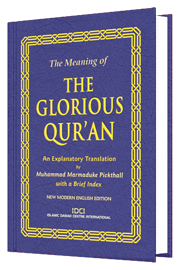 The Qur�an translations will be distributed at just £1 each. More information about the Qur'an Stand and locations it will be displayed at is coming soon. 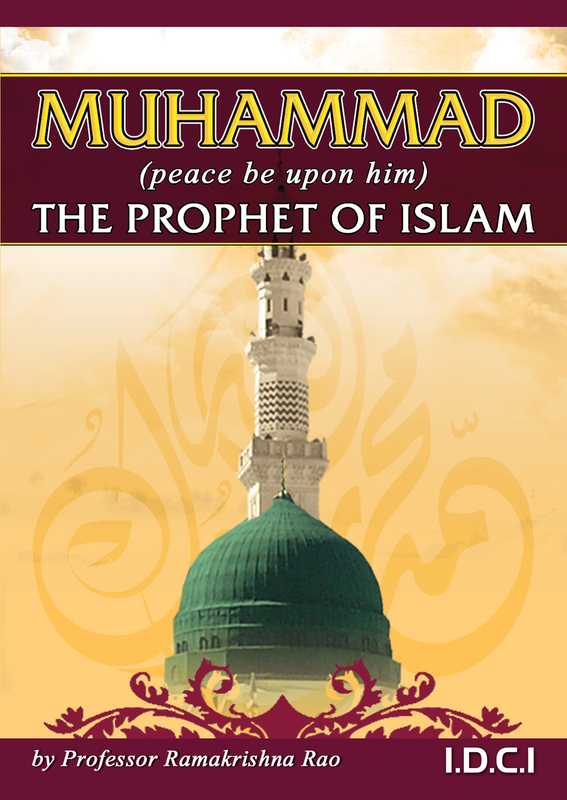 With the ever increasing attacks and misrepresentations on the character and life of the Prophet Muhammad (pbuh) IDCI has recently printed 150,000 copies, followed by a second print of 100,000 copies, of the popular Seerah booklet, �Muhammad (peace be upon him) the Prophet of Islam�. Our aim is to distribute this booklet for FREE across the country during Ramadhan aiming to educate people about the true teachings and character of the Prophet (peace be upon him). We hope to distribute 1 million copies of this booklet by next year. Insha Allah. and request a quantity that you can distribute. 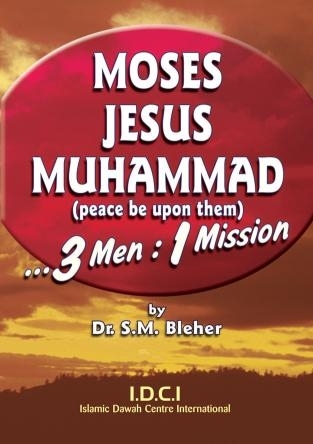 Moses, Jesus and Muhammad (peace be upon them). These three great men continue to influence world events millennia after they walked on this earth but not many people know that their mission was in fact one and the same, calling people to Allah (SWT). In light of this, IDCI is planning to launch a nationwide awareness campaign inviting people to discover the true teachings of these three men. A dedicated website - containing information about all 3 Prophets with audio and video resources and offering further free information on Islam. Newspaper Adverts - in mainstream broadsheet papers reaching out to approximately 2.9 million people. 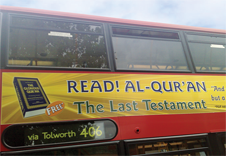 These adverts will provide the opportunity for readers to request a free information pack on the 3 prophets and Islam along with a free copy of the Qur'an translation. Billboard Adverts - minimum of 250 sites across the U.K. Reaching out to millions of people. Social Media Advertising - Facebook, Twitter, Google+ Mass email broadcasts etc. reaching out to millions of people. Please donate generously your Sadaqah & Zakah to support Dawah in Britain.